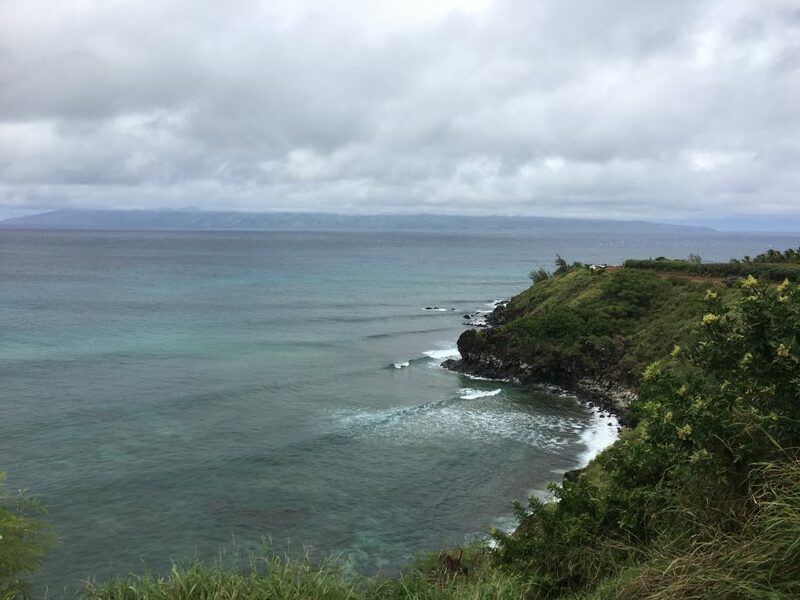 Yesterday I decided to drive around the west side of Maui. 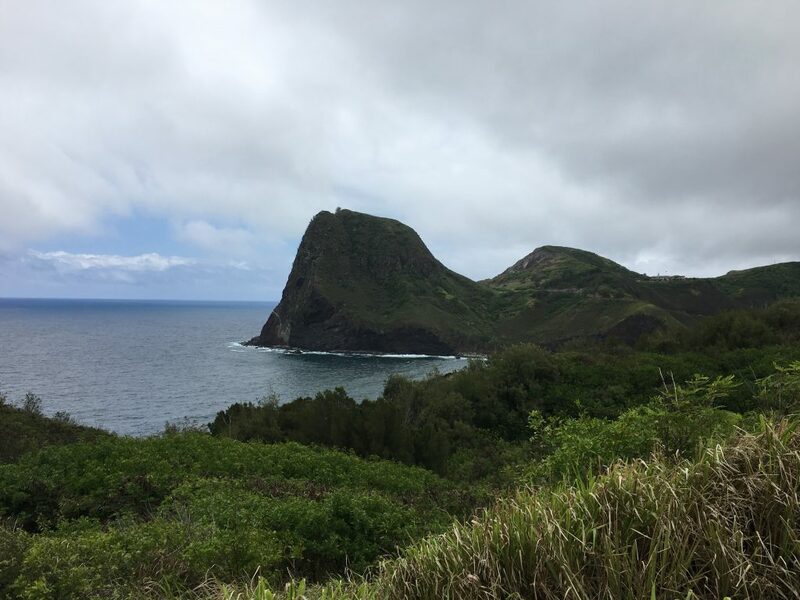 Driving to Lahaina and beyond was an easy road – wide, in good repair, and only gently curving. As I continued on, The road was more twisty, but still in good repair. The coast was rocky and beautiful, and the land was lush and green. This was next to Honolua Bay. I need to go snorkeling there some time. Then I came to a sign that said: “End of State Highway”. After that, the road got considerably more narrow, and it some places, ridiculously narrow. The scenery was still amazing. In some places, there were clusters of houses. At one of those places, a girl stood in the middle of the road so I had to stop. She asked me if I wanted to buy some banana bread. I didn’t get any. She said it was for her church, but she sounded dishonest. I didn’t want to reinforce her dishonesty. As I neared Kahului, I saw a giant rock. I was sure it was something important. I was right. It was Pu’u Koa’e. Apparently, King Kahekili (who was king of Maui in the 1700’s) liked to cliff dive from this rock. Not long after that, I hit familiar territory, since there are some hiking trails along this road. I was back in Kahului in no time. I’m glad I drove this road, so I can say I’ve done it, but with the crazy narrow parts, I think I wouldn’t drive it again unless someone I was with was interested in seeing it. Wow – that cliff! If you can dive off of it, it must be fairly deep right there. *jibblie* Your landscape is beautiful and breathtaking….. and terrifying. Banana bread scam, eh? Rachel and I were in Kansas City and a large people were gathered at a busy intersection in a posh neighborhood, selling bottles of water for their church. I believed them 99.9%, but I wanted to ask which church. Were there any sections of the road that you wondered if you would make it through? There were several places where, if I had met another car, one of us would have had to back up. The road was never impassible for one vehicle though. And it was in pretty good repair the whole way. I never drove on dirt or gravel.